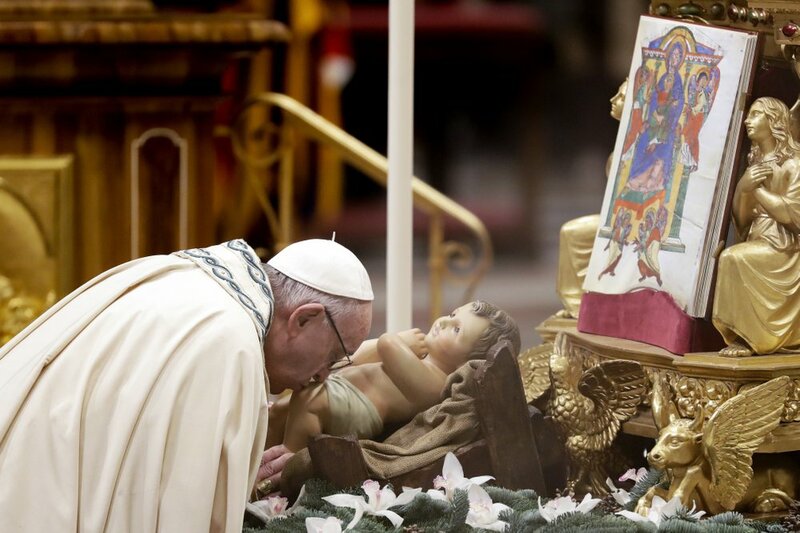 Fireworks, concerts, spiritual services and political addresses abounded to mark the transition to 2019 as revelers around the globe bid farewell Monday to a year filled with challenges to many of the world’s most basic institutions, including in the realms of politics, trade, alliances and religion. 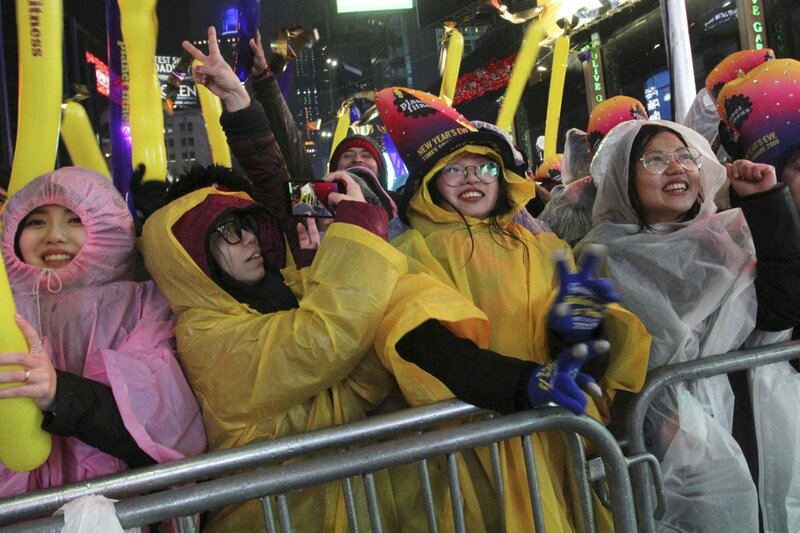 A drenching rain couldn’t keep crowds from packing Times Square for the traditional crystal ball drop and a string of star performances. Bebe Rexha sang John Lennon’s “Imagine” just before the midnight ball drop. The celebration took place under tight security. Partygoers were checked for weapons and then herded into pens, ringed by metal barricades, where they waited for the stroke of midnight. Revelers paid up to $10 for plastic ponchos trying to stay dry. Umbrellas were banned for security reasons. 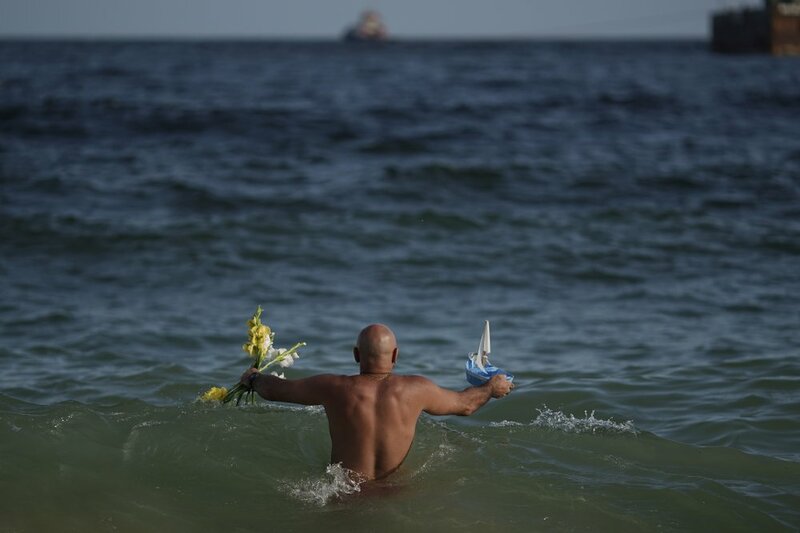 The last evening of 2018 in Rio was 85 degrees Fahrenheit (29 degrees Celsius), and many Brazilians took a dip in the water and made their offerings to Yemanja, a sea goddess in the Afro-Brazilian Candomble faith. 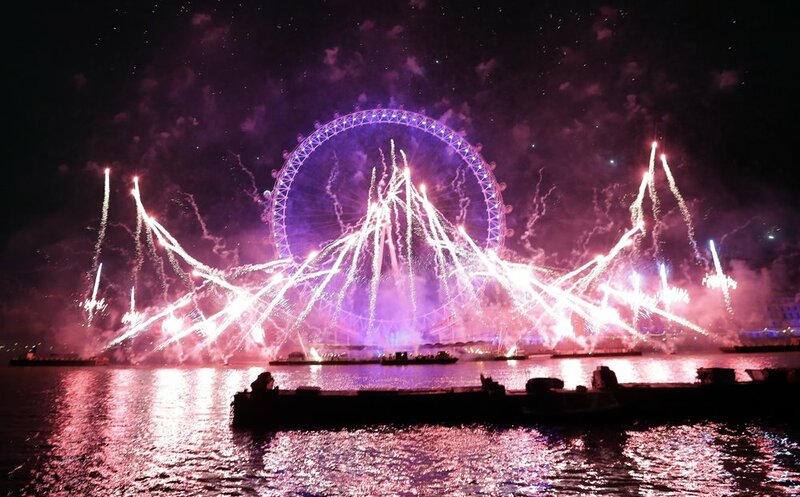 Fireworks explode over the London Eye during the New Year’s eve celebrations. 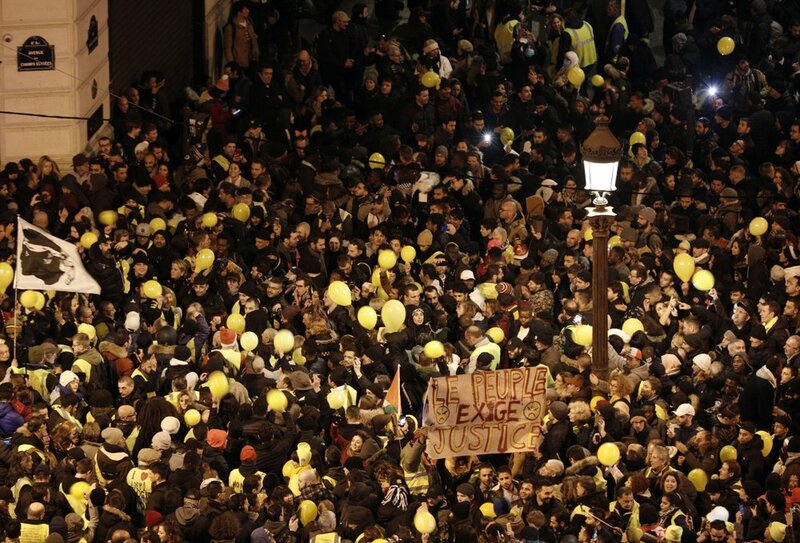 Yellow vest protesters in Paris. The fireworks replaced last year’s somewhat anticlimactic LED lightshow that ran down the facade of the 828-meter-tall (2,716-foot-tall) tower. Cafes and restaurants with a view of the Burj Khalifa charge a premium for their locale on New Year’s Eve. Casual sandwich chain Pret a Manger, for example, charged $817 for a table of four. That price gets you hot and cold drinks and some canapes. For burgers near the action, fast food chain Five Guys charged $408 per person for unlimited burgers, hotdogs, fries, milkshakes and soda. 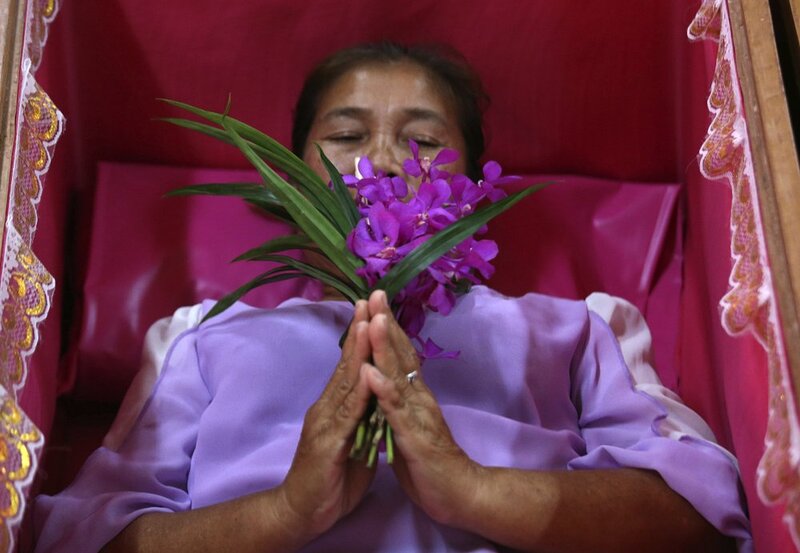 While many celebrate New Year’s Eve with fireworks, hundreds of Thais traveled to Takien Temple in a suburb of Bangkok to lie inside coffins for traditional funeral rituals. 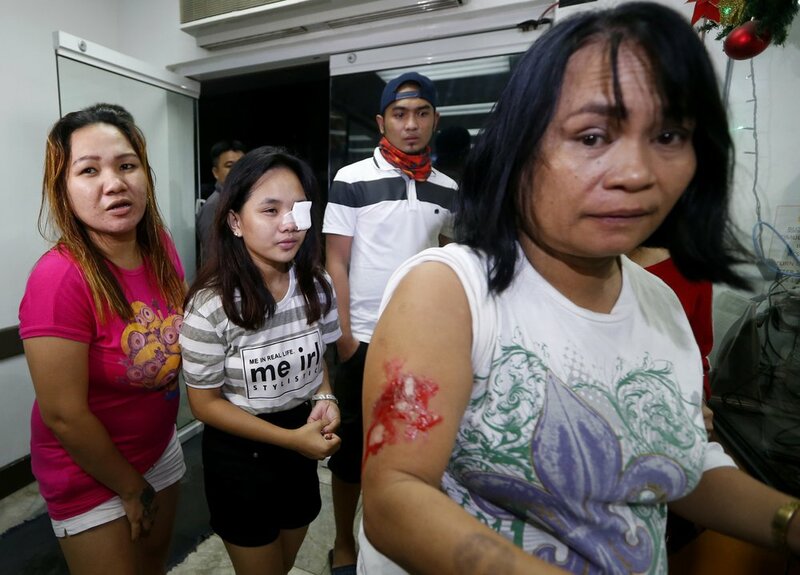 The Department of Health said it has recorded more than 50 firecracker injuries in the past 10 days. That is expected to increase as Filipinos usher in 2019. The tradition stems from a Chinese-influenced belief that noise drives away evil and misfortune. Earlier Monday, suspected Muslim militants remotely detonated a bomb near the entrance of a mall in Cotabato as people did last-minute shopping ahead of celebrations. Officials said at least two people were killed and nearly 30 wounded. 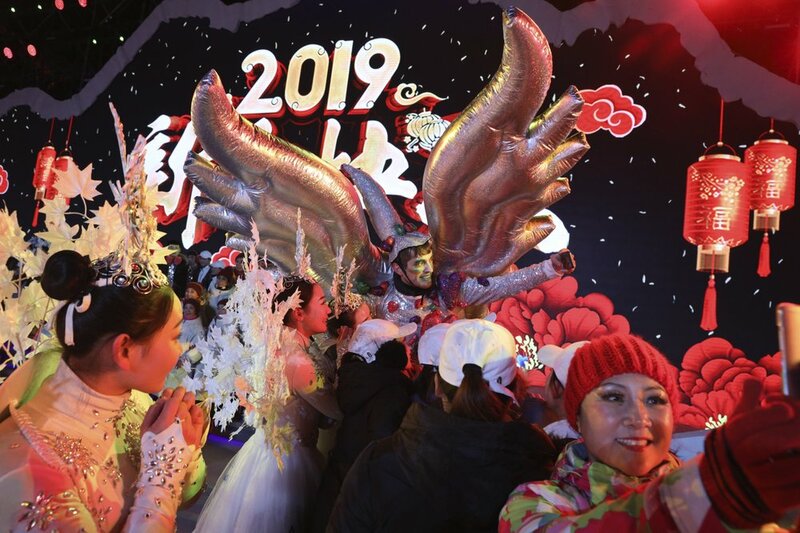 New Year’s Eve isn’t celebrated widely in mainland China, where the lunar New Year in February is a more important holiday. But countdown events were held in major cities, and some of the faithful headed to Buddhist temples for bell-ringing and prayers. Beijing held a gala with VIP guests at the main site of the 2008 Summer Olympics. 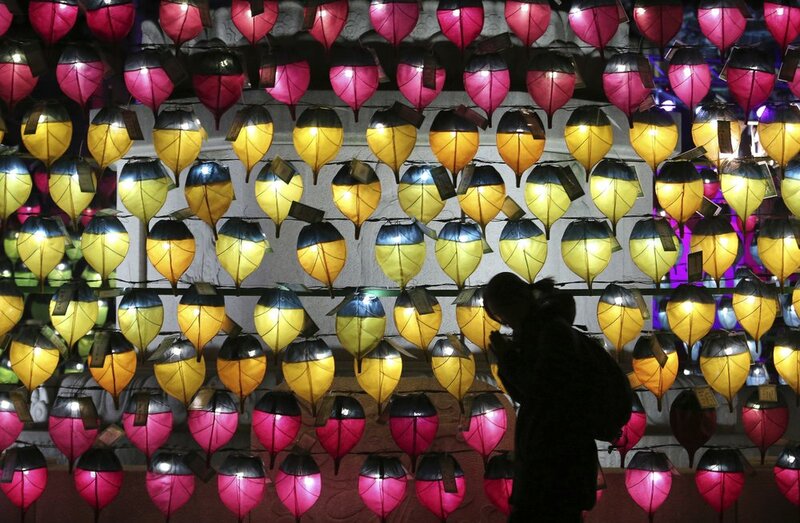 The event looked ahead to the 2022 Winter Games, which also will be held in the Chinese capital. 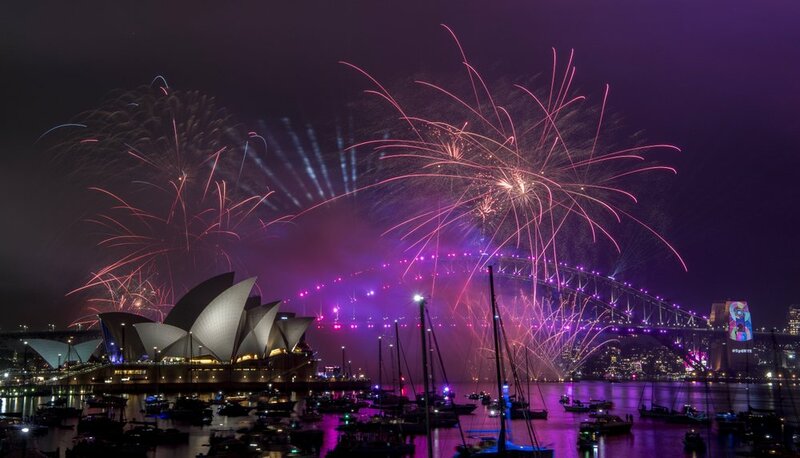 One of the most complex displays in Australia’s history included gold, purple and silver fireworks pulsating to the tune of ”(You Make Me Feel Like) A Natural Woman,” made famous by Aretha Franklin, who died in August. 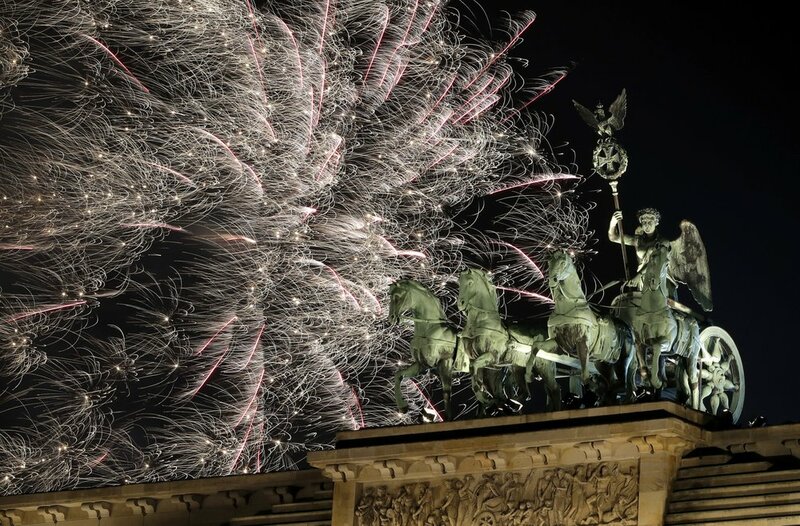 The show used 8.5 tons of fireworks and featured more than 100,000 pyrotechnic effects. No place does flashy like Las Vegas. It rang in 2019 with fireworks shot from casino-resorts and superstar performances from Lady Gaga, Celine Dion, Gwen Stefani and others. Celebratory midnight toasts were anchored by an 8-minute firework show on the Las Vegas Strip. The pyrotechnics were choreographed to a soundtrack that includes Frank Sinatra’s “Luck Be a Lady,” Lionel Richie’s “All Night Long” and Dion’s version of “I Drove All Night”. Police, including rooftop snipers and plainclothes and uniformed officers, were out in full force along with federal agents. Authorities also restricted revelers from bringing backpacks, ice chests, strollers and glass items to the street celebrations.